Gentle EcoClenz Baby Wipes have a special formula designed to leave sensitive skin soft and moisturised. The pH balanced wipes are allergen and alcohol free to keep your baby's skin clean, soft and protected. 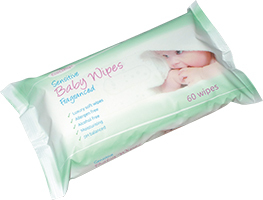 Each wipe in the pack of 60 measures 200 x 170mm and is lightly fragranced.